Scalp psoriasis is a common skin problem with raised, reddish and scaly patches that appear as one or multiple patches on the scalp. The patches can affect the entire scalp and even spread to the forehead, behind ears and also the back of the neck. While people suffering from psoriasis of the scalp usually have psoriasis on other parts of the body, at times, it only affects the scalp. While scalp psoriasis is not contagious, like any other form of psoriasis, its exact cause is not known. It is thought to be triggered by an abnormality of the immune system that leads to the quick growing of skin cells that builds up as patches. There is also a chance of developing the condition if it runs in the family. Events that may seem minor like scratches, abrasions and sunburn can all trigger psoriasis of the scalp. Moreover, dandruff is a common cause for scalp psoriasis in winter because of the skin dryness that is triggered by limited sunlight availability. Scalp psoriasis is usually mild and practically unnoticeable but can at times be severe and long lasting where the thick and crusted lesions that form affect appearance. The itching is so intense it disrupts sleep and every day life. The everyday scratching can also lead to skin infections and hair loss which is why most people suffering from the condition eventually feel embarrassed and ashamed of their condition. While psoriasis of the scalp is not necessarily the cause for hair loss, it is the frequent or intense scratching and forceful removal of scales and the associated stress that induces temporary hair loss. 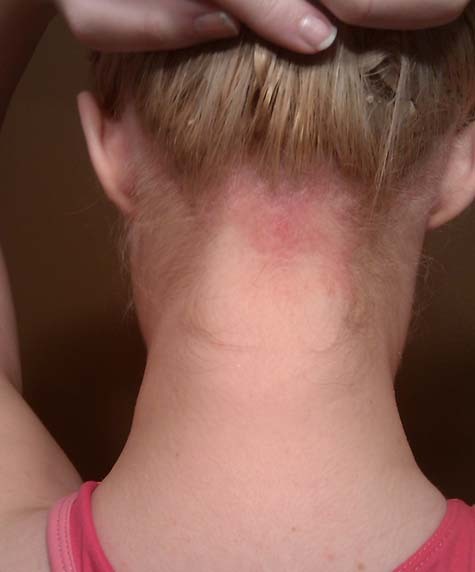 Hair however starts growing back once the psoriasis lesions start clearing out. If you suffer from any of these symptoms, it is important you consult your dermatologist who will be able to diagnose scalp psoriasis using a visual examination or by carrying out a skin biopsy to eliminate the chances of any other skin condition like seborrheic dermatitis. Topical treatment including medicated shampoos, gels, creams, ointments, oils and soaps are the first treatment option for scalp psoriasis. Most of these products are available over the counter but the stronger treatment options require a prescription. For best effects, topical treatments have to be applied not only to the hair, but also to the scalp and should be used exactly as instructions. This has to be continued till you gain control of your lesions, which usually takes eight weeks or longer. Once the psoriasis is cleared, you can prevent its recurrence by shampooing your hair every day or at least twice a week using a shampoo that has coal tar or other medications. In case you have mild psoriasis of the scalp that has only affected a few areas, your doctor may inject the lesions with steroid medications. In case your scalp psoriasis condition does not respond to topical treatment, your doctor may suggest phototherapy with laser or non-laser light. This excimer laser focuses high-intensity light only on the affected skin and avoids the unaffected skin. Even ultraviolet light that is delivered by a hand-held device called a UV comb helps treat the entire scalp. In case you have very thin hair or if you have shaven your head, your doctor may recommend exposing your head to natural sunlight for brief periods. As these medications can lead to serious side effects like liver damage, it is important that they are prescribed under careful monitoring of the patients by doctors. Patients should also know that oral vitamin derivatives are different and much more powerful than over the counter vitamin supplements. Moreover, the ordinary vitamin A and D supplements do not help treat scalp psoriasis. Other natural treatment options for psoriasis of the scalp include proper exercise and managing stress. Remember that the ultimate goal of all the treatment and exercises mentioned here is to help improve the healing ability of the skin. This is to ensure that the skin does not peel off easily. There is no permanent cure for scalp psoriasis. However there are treatment options that can be used to help provide relief from the symptoms, control the flare-ups and help prevent recurrent attacks. If you learn to follow your doctor’s treatment plan, you generally need not tolerate scalp psoriasis for long periods of time. In fact, there are many psoriasis support groups you can join. These groups provide valuable self-care tips that help maximize the effectiveness of the different scalp psoriasis treatment options and in the process, help reduce the psychological stress caused by the condition. 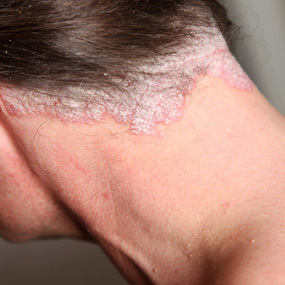 Scalp psoriasis is a condition that should not be taken lightly as if left untreated; it can lead to severe damage. In fact if it is left untreated, it can lead to plaque that spreads to the other parts of the body like ears, face and neck.